Blendtec Jars – What Makes Them So Unique? If you have not joined yet into the bandwagon of Blendtec, then you have been missing a lot of things. 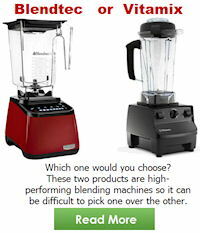 You may think that buying Blendtec jars for your blending machine is a complete waste of money because they can only do one thing, i.e. blend ingredients. But a Blendtec jar when installed into a Blendtec blending machine can do more than just blending. 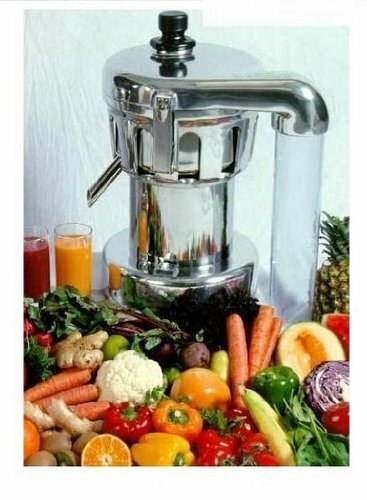 You can use the entire unit for juicing veggies and fruits. This is especially useful if you juice up on a daily basis for your weight loss goal. When you purchase a Blendtec machine, it usually comes with a Blendtec wildside jar, along with it the main machine or its base, rubber cover, recipe books, and instruction manuals. But some owners feel the wildside jar is bulky and heavy. So some owners of this machine would opt to purchase a Blendtec twister jar. It’s quite shorter and smaller than the Blendtec fourside jar and Blendtec wildside jar. How does the Blendtec twister jar work? The Blendtec twister jar is not designed to work on massive amounts of food. Rather, it is made to blend thicker recipes, like ice cream or nut butters. Thus, if you are planning to make ice cream on a regular basis, then this type of jar is a must-have in your kitchen. This 16-ounce jar can process super thick recipes and produce amazing results each time. The Blendtec twisted jar has a unique lid that makes scraping the sides of the jar easier. Plus, you can also push the ingredients back to the middle of it. This is especially useful if you are working on ingredients that usually do not obey the law of gravity. The twister lid of this jar is different from an ordinary jar is it does not squeeze food down. It can scrape food found on the side and push it downward to allow the machine to do its job, i.e. continue blending. This means that, if you are blending peanuts, you can easily have a home-made peanut butter without having to deal with chunks. 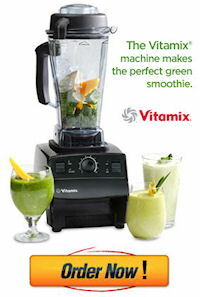 What are the advantages of Blendtec wildside jar? 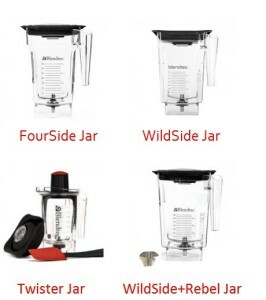 Blendtec wildside jar is quite different from twister jar. As previously mentioned, it’s taller and bulkier. It’s made that way because it allows the blade of the machine to go faster. Many owners of Blendtec machines would go for this jar because it can blend easier and faster resulting in less oxidation, which is great to maintain the nutritional content of the ingredients. Furthermore, Blendtec wildside jar is ideal if you want a larger container that can accommodate massive amounts of ingredients that cannot be handled by the Blendtec twister jar. This is also perfect if you want to only cut fruits and vegetables into smaller sections. 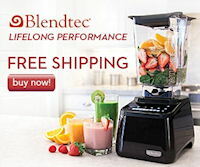 Why should you consider a Blendtec fourside jar? The Blendtec fourside jar is a great addition. This fourside jar has all the components of a Blendtec jar, i.e. BPA-free, NSF certified and wingtip blade. 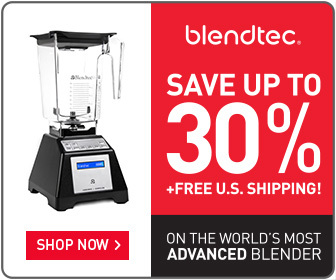 It is compatible with other Blendtec blending machines. You will usually see it in a commercial set up that prepare specialty drinks like non-dairy products and soy-based ingredients. 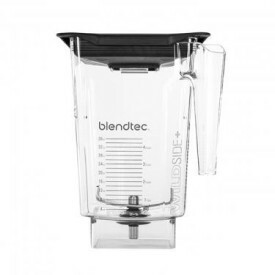 When it comes to its blending quality, this fourside jar of Blendtec offers better outcome than the traditional round jar. Plus, it can generate more friction. It can also heat soups a lot faster than its wildside counterpart. Can I purchase a Blendtec replacement jar? If down the road the Blendtec jar that came with your purchase doesn’t perform like it did from new, you can easily purchase a Blendtec replacement jar by talking to a customer support representative. However, if your unit is still under the 8-year warranty, you may ask for a replacement jar from Blendtec and the company will be happy to send you a free replacement jar for your Blendtec Blender. 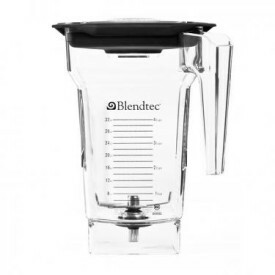 Some owners of Blendtec blending machines do purchase another jar as a standby container, in case they need to use plenty of jars and they do not have time to wash. This is especially true if you are using the machine in a commercial set up like a smoothie shop or a restaurant. You can have the Blendtec twister jar for making ice cream, Blendtec wildside jar for working on massive amounts of ingredients and Blendtec fourside jar to make smoothies faster. Even though Blendtec jars are made to last, you still need to apply a maintenance procedure so it can last even more. One of the things you can do is to clean it after every use. You may wash it by hand or the use of a dishwasher. Cleaning the jar after using it is a must especially if you consistently utilize it for your blending tasks at home. And it’s also nice to have a back-up jar in case something will go wrong with your jar.